What does Sega’s cryptic new teaser video mean for Sonic fans? With the revving of engines and the reveal of the letter “R,” what else could it mean? Being fast on his feet, Sonic has played host to plenty of racing games over the years. That side of his career began with the clumsy Sonic R on Sega Saturn, where the characters raced on foot. Later Sonic’s friends would get into go-karts and race in Sonic & Sega All-Stars Racing and Sonic & Sega All-Stars Racing Transformed . Since we know nothing about this new one beyond what the video tells us, we can’t confirm if the characters will be footing it or flooring it. The use of the stylized “R” from Sonic R suggests the former, however. 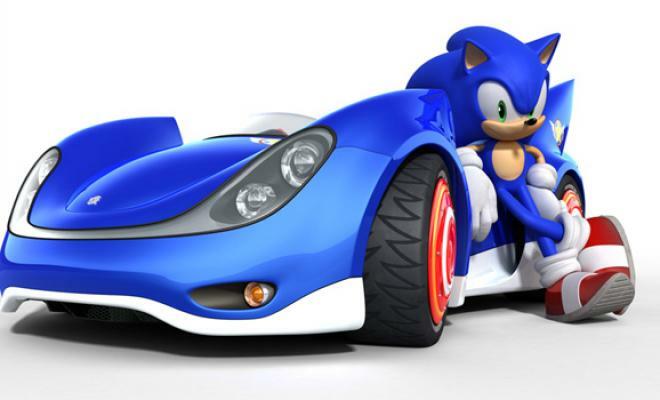 If this is a new Sonic racer, it arrived just in time to punish Funbox Media for publishing something called “Super Sonic Racer.” More details will come from Sega in the months ahead.